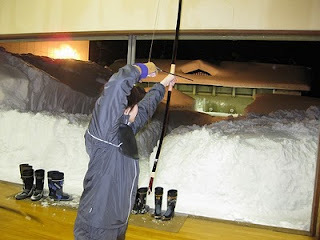 The most dedicated archers in Japan! | The Kyudo Project Blog! The most dedicated archers in Japan! 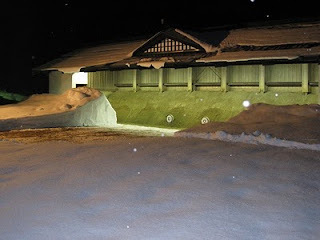 I want to offer these totally awesome pictures of a snow bound dojo. 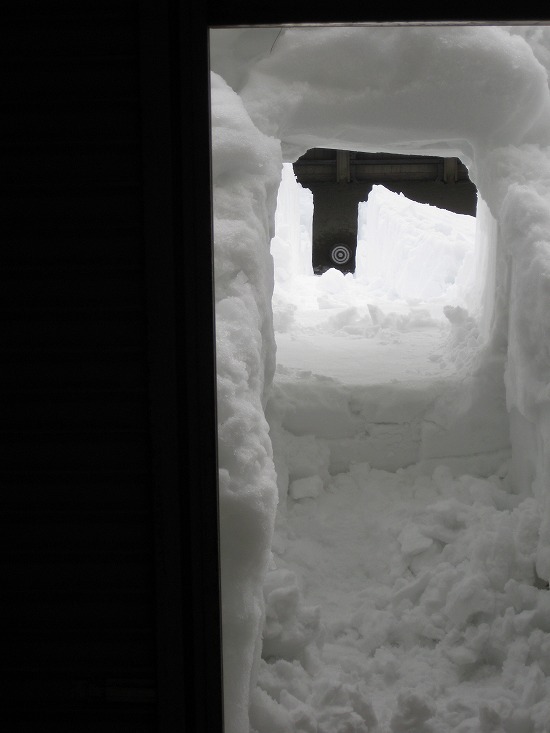 While volcanos have gone off in southern Japan, northern Japan has been hit with amazing levels of snow fall, sometimes reaching a height of five meters. 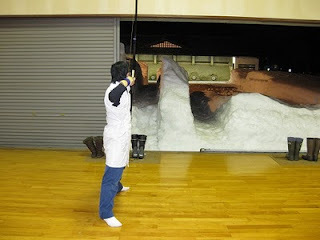 Already there have been 200 snow related deaths in Japan. 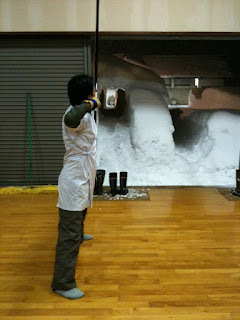 So what do you do if you have a dream of making the All Japan Championship and several meters(!) of snow falls on your dojo? KEEP SHOOTING!!!! 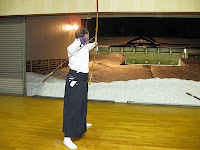 Pictures from Shinjo Kyudo Renmei, Yamagata Perfecture. First pictures are from Jan. 4th. But it kept snowing. 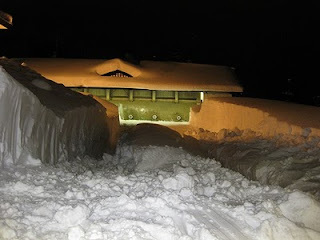 The snow reached 2 meters on Feb. 1st and they kept digging and shooting. tunneling. If you have a wild shot you won't see the arrow until Spring! Go to this blog: http://kokutai-katuyo.fruitblog.net/ then go to the calendar on the left side and click on the dates for Feb. 6th and Feb. 10th. Feb 22nd update! 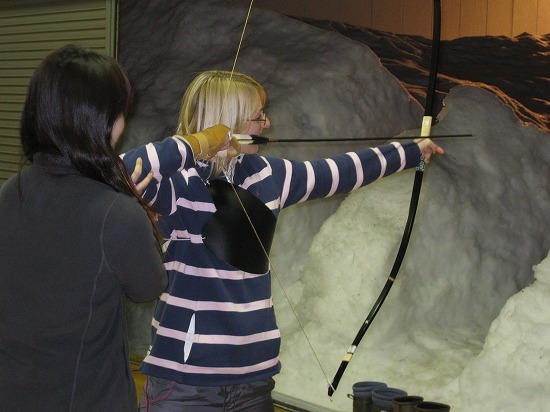 The tunnel was making everyone nervous so the top was removed and a British archer has joined in. Apparently there is talk of opening a 5th target. Try to imagine just how much snow removal each target requires! And the US flag goes Where? Dojo in the snow, Nabari City, Mie Prefecture.